Customer Relationship Management (CRM) solutions help streamline processes and increase profitability in a company’s sales, marketing, and service departments. Enterprise Resource Planning (ERP) software integrates business processes across finance, HR, distribution, manufacturing, and other business departments. Combine the two, and you have: improved sales processes, more accuracy in product forecasting, and the most relevant data stored in one centralized location. As such, manufacturers and salespeople are beginning to weigh the benefits of integrating their ERP systems with CRM and it’s not that hard to see why. Even if sales is not a fundamental part of your business operations, you should remember that CRM tool isn’t just for customer management. By integrating your CRM software with an ERP system, a company is able to gain advanced tools for streamlining relationships between sales personnel, the back office, and operations on the shop floor. Automatic updates keep both systems in sync with each other which is crucial for when changes to operations are made or different requirements are added. For instance, any alterations made in the ERP will be immediately reflected in the CRM system as well – and vice versa. Since the data in both the ERP and CRM are defined in the same integration solution, you will always have consolidated and consistent data that you can rely on. The latest information about product availability, which an ERP system provides, can result in more accurate shipment dates, which can then provide the opportunity for rush orders if the customer needs to receive orders faster. This can improve the company/customer relationship immensely. A happy customer is a returning customer. From a salesperson standpoint, a CRM tool gives them a better picture of which campaigns are doing best, while the ERP system reveals the highest selling products. Combine this data, and operations are able to forecast product demand with a lot more accuracy. This is important because having too little or too much inventory impact a company’s bottom line. Excess inventory can tie up revenue that could be better spent elsewhere. When salespeople in an organization have access to the order history from an ERP system, in congruence with customer data from a CRM tool, they stand a better chance for closing a deal. A ERP/CRM integration provides salespeople with all the necessary information even before reaching out to a customer. Not only does this speed up the collection process, but also ensures sales proposals include the most relevant information. 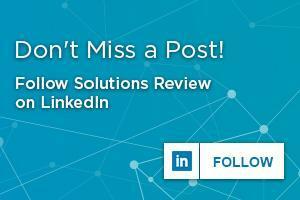 Through a CRM viewpoint, the primary value is that it helps companies bring in new customers, providing a structure and process for turning prospects into leads, quotes, and sales opportunities. Manufacturers with sales transactions are able to realize near immediate benefits in the “order-to -cash” process. Order processing is also sped up. When a salesperson enters an order in the CRM system, the data is automatically transferred to the ERP – this eliminates the need for manual data entry from printed sales reports, emails or paper forms, making the lives of both manufacturers and sales easier. Overall, when you have an ERP/CRM integration in place, you can create a seamless and streamlined workflow that eliminates the tedious work of entering the same data in various systems. This can save companies time and money in labor costs and reduces data redundancy errors that can ultimately result in unreliable data. With an integrated ERP/CRM system, both sales and manufacturers can enter transactions (whether it be product orders or sales orders) or change customer records and have the updated information accessible to them at the touch of a finger. Looking for more? Download our ERP Buyer’s Guide for free to compare the top 24 ERP software vendors head to head! 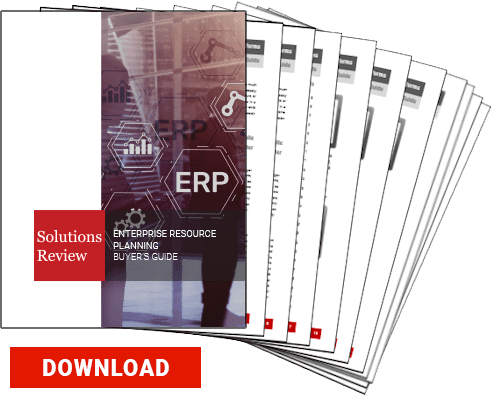 The guide also includes 4 key capabilities to consider while selecting a new ERP solution and 10 questions to ask yourself and the software vendor before purchasing.